Join ABC in advocating for the arts to make sure that our creative community has a seat at the table when civic decisions are made and ensure a vibrant cultural future for Nashville. What is arts advocacy? Arts advocacy is the active promotion of the arts by communicating the benefits and importance of the arts in our communities to your neighbors, co-workers, and legislators. Anyone can be an arts advocate! Speak to your local community groups, like Rotary Clubs, PTAs, and school boards, about how the arts are changing lives. Write to your legislator about issues affecting the arts. Write to your local newspaper about how the arts benefit your community. Invite people to participate in local arts events. One of the easiest things you can do to support the arts is to buy a specialty or personalized license plate! 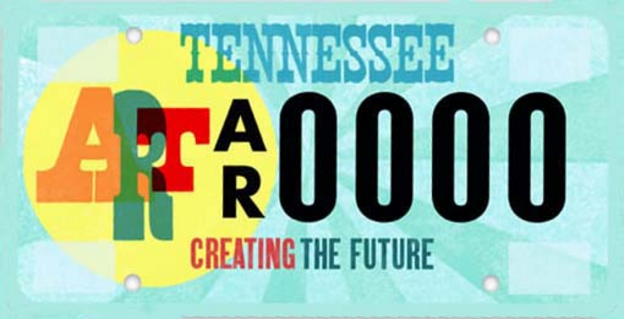 Tennesseans for the Arts, a nonprofit organization dedicated to advocating for the arts in Tennessee, has more information about specialty license plates and how to advocate for the arts in your community. Nashville Arts Coalition is a group of individuals and organizations who advocate for public policy and public funding that supports a healthy arts ecology in Nashville. Nashville Arts Coalition organizes the Mayoral Forum on the Arts during election years and other advocacy activities annually. Learn more and join today. If you’re thinking of speaking with your legislators, check out Americans for the Arts, the nation’s leading nonprofit organization for advancing the arts. Among its advocacy programs is the Arts Action Fund, which aims to enlist and mobilize 100,000 citizen activists to help ensure that arts-friendly public policies are adopted at the Federal, state, and local levels. Learn more and join here.